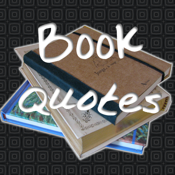 Hundreds of handpicked quotes from great books from a great variety of authors. The app is feature rich, yet extremely intuitive and easy to navigate. - Notifications, if you want to receive a quote straight to your device.